Since May is Mental Health Month, we have been featuring a mental health related article every week. To end this month, we interviewed Bob Carolla, Senior Writer, Communications & Public Affairs, at NAMI (The National Alliance on Mental Illness) about what they are and what they do. KRL: Can you tell us exactly what NAMI is? Bob: NAMI, the National Alliance on Mental Illness, is the nation’s largest grassroots mental health organization dedicated to improving the lives of individuals and families affected by mental illness. KRL: How and when did it come to be? Bob: Many grassroots groups came together and founded NAMI in 1979 at a conference in Madison, Wisconsin. It was organized by a few families working from a kitchen table. KRL: What all is it that you do? Bob: We listen. We lead. We educate. We support. We advocate. That’s the most basic description. Listening and leading is important for any grassroots organization or movement. Education and support is provided directly through free classes and support groups. Advocacy occurs at local, state, and national level. KRL: How is it that you help people with their mental illness issues? 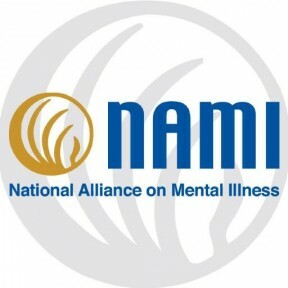 Bob: NAMI offers 11 signature education and support programs, including NAMI Family-to-Family Education; NAMI Basics for parents with children and teens living with mental illness; NAMI Peer-to-Peer Education; NAMI Family Support Groups; and NAMI Connection recovery support groups. See www.nami.org/programs. KRL: How many chapters do you have and are they only in the United States? Bob: There are approximately 900 NAMI State organizations and local NAMI Affiliates. They are only in the United States. KRL: What is it that the chapters do? Bob: NAMI State Organizations and NAMI Affiliates engage in many of the same activities as the national organization: education, support and advocacy. The national organization might create programs or materials, train trainers, or provide other support, but state and local leaders implement them. KRL: We are coming to the end of Mental Health Month. Can you share with us what exactly that is and why it’s important? Bob: Mental Health Awareness Month is an opportunity for individuals and communities to focus on mental health as a priority. It’s a time for raising public awareness and sponsoring public education. Everyone needs to learn the symptoms of mental illness and where to get help if it’s needed. Many kinds of activities make up the month: news media stories, social media discussions, lectures, movie nights, candlelight vigils, and illuminating landmarks in green—the symbolic color of hope, recovery, and renewal. The goal is for the month’s concentrated focus to create greater awareness that can carry forward into the rest of the year. KRL: How is your work funded and how can people donate? Bob: NAMI’s funding comes from individuals, foundations, corporations, and federal agencies. We greatly appreciate individual donations which can be made through the “Donate Now” button on the upper right corner of the NAMI website homepage: www.nami.org. KRL: How can people get involved either for help or to help with your work? Bob: Contact the NAMI Affiliate closest to where they live or the NAMI State Organization. There is a locator with contact information on the NAMI website’s homepage: www.nami.org/Find-Your-Local-NAMI. The NAMI HelpLine also can provide local contact information: 800-950-NAMI (6264). KRL: Are you on other social media sites? Bob: Facebook: www.facebook.com/nami Twitter: twitter.com/namicommunicate. Muffy Walker was born and raised outside of Philadelphia, PA. She currently resides in Switzerland with her husband John C. Reed and their three sons. In 1983, Walker graduated with a Master’s of Science in Psychiatric Nursing from the University of Pennsylvania. She worked in the mental health field for over 18 years until she moved to California when she obtained her MBA with a focus in marketing from the University of California-Irvine. 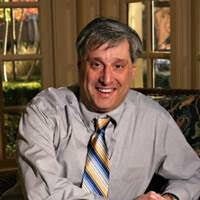 Walker is the founder and Chairman of International Bipolar Foundation (IBPF). After learning that her youngest son had Bipolar Disorder, Walker joined other mental health boards and ultimately started IBPF. She has served on a plethora of boards including Children’s Hospital, Kids Korps USA, NeighborHelp, ChildHelp USA, and has dedicated the past 10 years of her life championing the education of the public about mental illness.